Perfection is all around us, but there are few (if any) things more perfect than a Hill Country sunset. The way the light changes creating a beautiful watercolored masterpiece as the sun sinks below the horizon is a truly picturesque moment only made better when sharing a frame with two stunning newlyweds. We were lucky enough to capture this moment (and many others!) at Carolina and Mark’s Hill Country wedding. 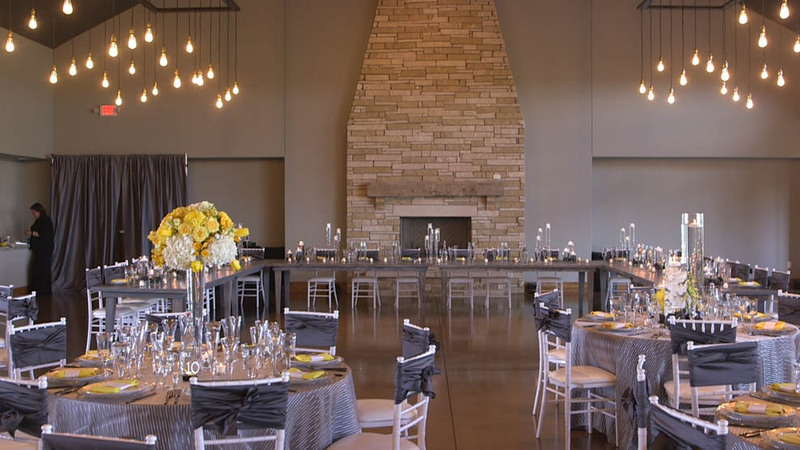 Set deep in Dripping Springs, Texas’ very own wedding capital, Canyonwood Ridge is a unique presence with its sprawling grounds and unequivocal scenic backdrops sure to make any filmmaker smile. With a couple like Carolina and Mark (who say that traveling is one of their favorite things to do together), we can see why they decided on their venue! They spent the morning prepping at Omni Barton Creek where Carolina was able to surprise Mark with a gift: a gorgeous new watch that he was able to wear for their big day. Carolina looked stunning in her mermaid style gown that featured intricate detailing on the long sleeves and illusion-style back. Each detail of their day was carefully and thoughtfully planned, from the flowers at the ceremony to their beautifully choreographed first dance to Celine Dion’s “The Power of Love.” Mark even had his very own groom’s cake representing his love for the New England Patriots! The party continued on into the night after rousing speeches from several loved ones including one from Mark’s brother, Matthew, who teased him for choosing to get married on the day after his birthday. Carolina + Mark, We couldn’t have imagined a more beautiful day for two beautiful people. The laughter and merriment enjoyed by all of your friends and family is a tribute to the love they have for y’all and the love that you have for one another. You both glow as brightly as a Texas sunset. We wish you all the best and more!